The Georgian Bay Club is located west of Collingwood towards Thornbury. 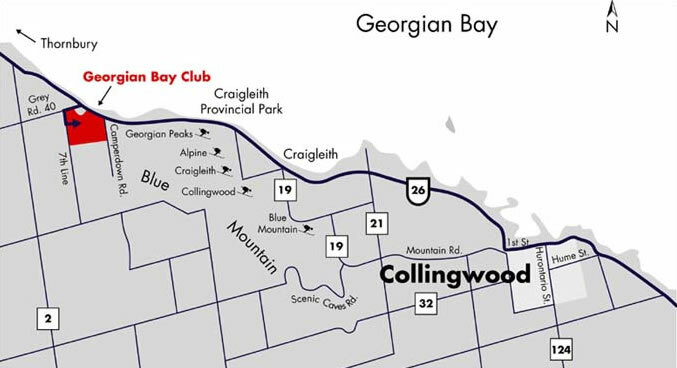 From Collingwood, follow Highway 26 West through Craigleith and past Craigleith Provincial Park. Go past the Georgian Peaks Ski Club on your left. Go past Camperdown Road on your left. Turn left on Grey Road 40. Go past Indian Circle Road on your left. At the top of the hill, turn left on the 7th Line. 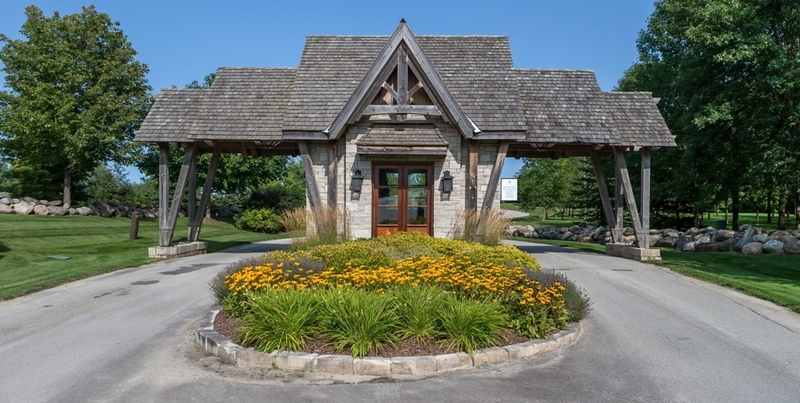 The Club entrance and Gatehouse is located approximately 0.5 kilometres on the left side of the 7th Line. Please Note: If you are entering the Club's physical address into your vehicle's navigation system, enter " Blue Mountains" instead of "Clarksburg".